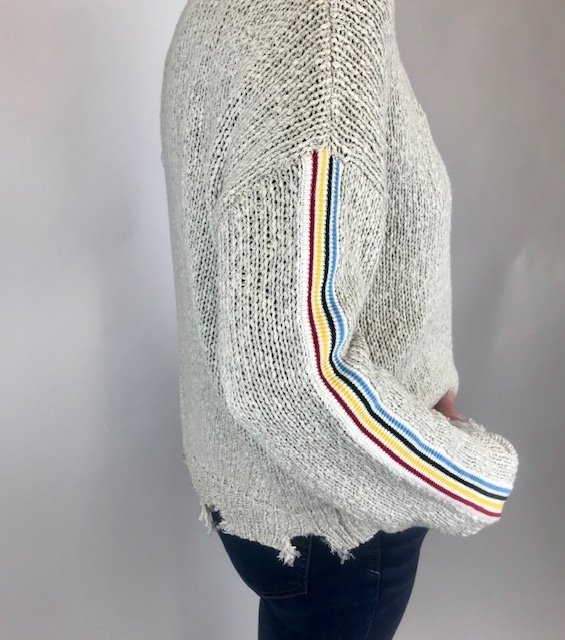 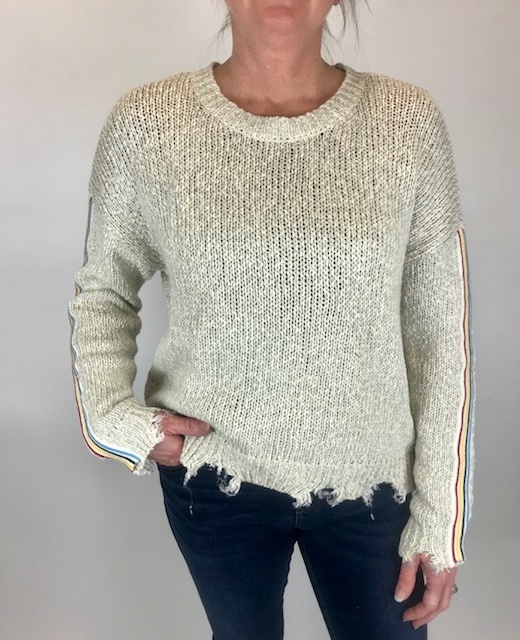 A crew neck distressed sweater with a rainbow stripe on both arms. 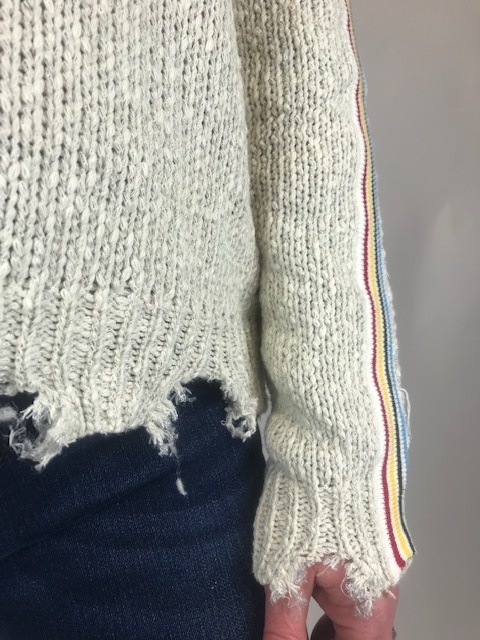 The bottom and wrists has a open distressed hem. 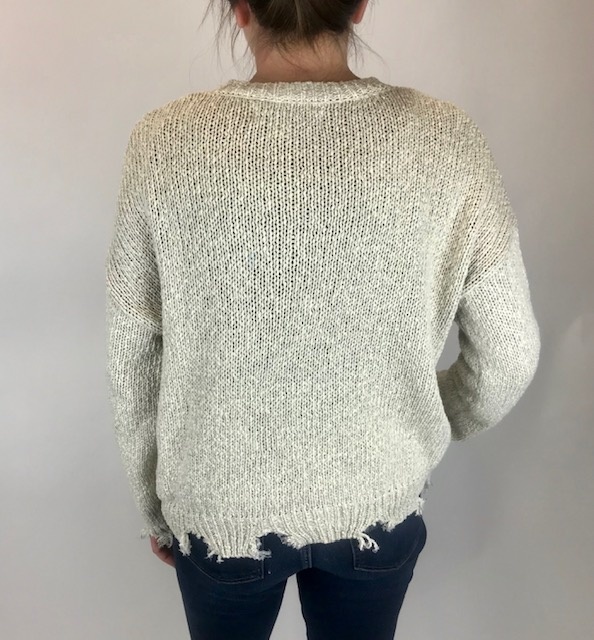 Add your favorite denim to complete the look.